The Montes sori Infant Program is designed to foster the development of basic trust and to assist in the normal development of the personality. Basic trust develops in an environment where people respond appropriately to the child’s communication of needs to be loved, respected and accepted. Infant and toddlers alike learn through their senses. They learn by watching and moving freely in the environment. The child is considered as a whole person and is affected by the quality of holding and feeding, as well as the quality of physical care. Freedom to move is essential to the development of child’s potential. Learning, which leads to independence, occurs where the child participates in their daily routines of care. The children must be spoken to in the language with which they will communicate. Learn more about our infant program. The Montessori Toddler program provides children eighteen months to three-years-old with experiences that support the development of their confidence and inde pendence. This sensitive period of the child’s life has many physical and emotional needs that can be met in a uniquely prepared toddler environment. The environment for the toddlers is very nurturing and calm community as these children are often experiencing their first interactions with other children. 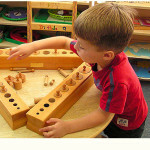 A qualified Montessori teacher directs each class to offer the tenderness, warmth, and patience so essential to this age. The space is beautifully designed to appeal to the child’s curiosity. 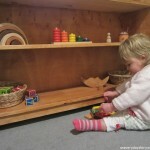 The materials in the room continue to change as the child grows emotionally, physically, and intellectually. An emphasis on the importance of a peaceful environment, with necessary nurturing and caring, is characteristic of this program. Learn more about our toddler programs. The Primary program is a multi-age three-year cycle that includes children aged three through six. Children experience an academically enriched environment within a well-ordered social community. A special characteristic of the Primary program is that the classroom encompasses the areas of learning and socializing that are designed to foster independence, concentration, self-motivation and a love of learning. Another feature of the Primary classroom is that the materials are accessible to the children. They are free to choose activities appropriate to their level and progress and develop at their own pace. The materials and lessons are categorized under the following areas, which are all interrelated to help children achieve maximum success. Learn more about our primary classes here. The music materials provide a vehicle for self-expression, self-understanding, self-confidence, creative problem solving and motivation. Children create their own rhythms and incorporate music into other areas of the classroom. 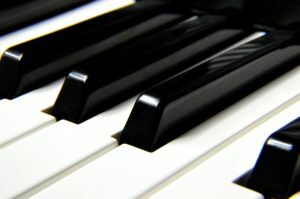 The music program is an exciting and fun curriculum taught by professional music teachers. Through singing, movement, speaking, body sound rhythms, playing simple melody instruments and percussion instruments with music scores and improvisation, children learn the love and joys of music. Music programs will be provided for all the children at the Manalapan Montessori in addition to the regularly scheduled classes and various solo instrumental classes will also be offered throughout the year. The Physical Education program gives children the opportunity to learn cooperative games and basic sports in a fun and interactive atmosphere. Positive encouragement, teamwork, problem solving, good sportsmanship, and physical exercise are key components in our Physical Education program as well as continuing to practice self-respect and respect for one another. Our after school environment seeks to complement the children’s Montessori experience and give them more exposure to educational toys (i.e. Lego, dolls,blocks). The pace of the after school programs is intentionally more relaxed with time for free play and outdoor activities. Children in after-care can enjoy a variety of other optional programs (additional fees apply) not offered in the regular class. These programs include art lessons and foreign language lessons. 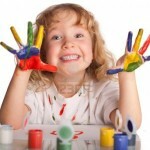 Our art activities for kids are fun and educational. 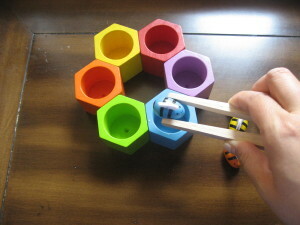 Arts and crafts activities improve children’s hand-eye coordination as well as their fine motor skills. These activities will keep them busy and seeing the end result of all their hard work will give the kids a sense of accomplishment. Art can do wonders to their confidence! Young children are uniquely suited to learning a second language. The developing brain is hard-wired to acquire language – never again will it be this natural or this easy! Foreign language lessons are offered to our primary class children in our foreign language program. Taught by experienced teachers, your child will learn a foreign language in a fun and interactive environment. Learning a foreign language will help prepare your child for the future as the world becomes more globally connected.